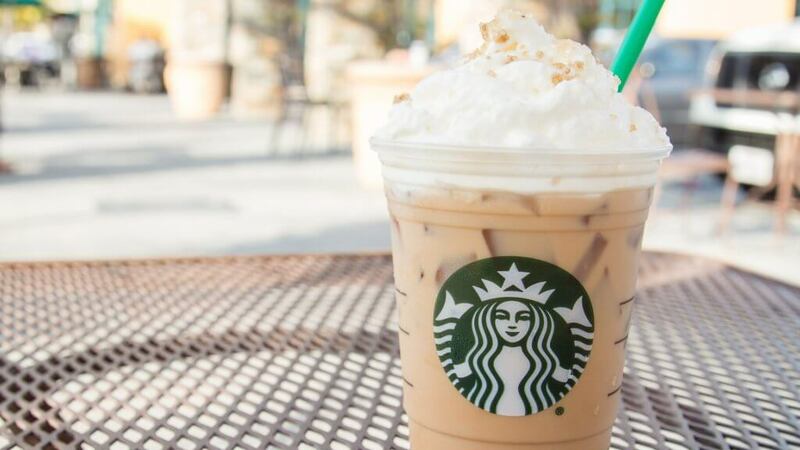 You’re familiar with McDonald’s classic Big Mac, and you probably have a go-to Starbucks’ latte you get on a daily basis. But, have you ever looked beyond your favorite fast food restaurant’s menu and order something a little unconventional? GOBankingRates.com scoured the web and food blogs to see which “secret” items or hacks you can order from popular fast food joints, such as McDonald’s, Taco Bell, Burger King and Starbucks. Then, we tried them out ourselves to see if they live up to the hype. We weren’t disappointed. Check out these $10-and-under “secret” menu hacks, and stretch your dollar even further the next time you get your fast food fix. 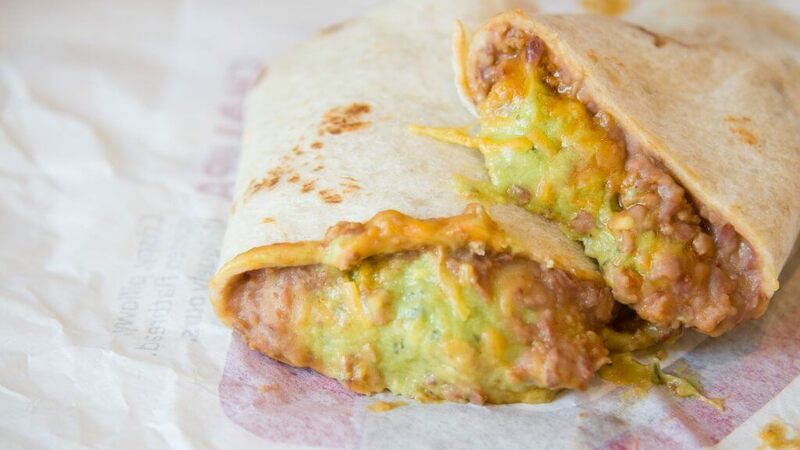 Taco Bell, known for having one of the best dollar menus around, offers up a variety of burritos ranging from chicken to beef. And if you’ve ever ordered the Beefy 5 Layer Burrito, you know it typically comes with seasoned beef, cheese, sour cream, beans and nacho cheese. But the next time you go to the restaurant, order “The Incredible Hulk.” If the server has no idea what you’re talking about, just tell them you want the Beefy 5 Layer Burrito with guacamole instead of nacho cheese. There might be an extra charge, but if you’re an avocado lover, it’s worth it. And if you’re worried about your calorie intake, just get rid of the inner tortilla shell and sour cream. When you order this “secret” fast food menu item, you don’t need to tell the servers what to do — they know exactly what you’re talking about. 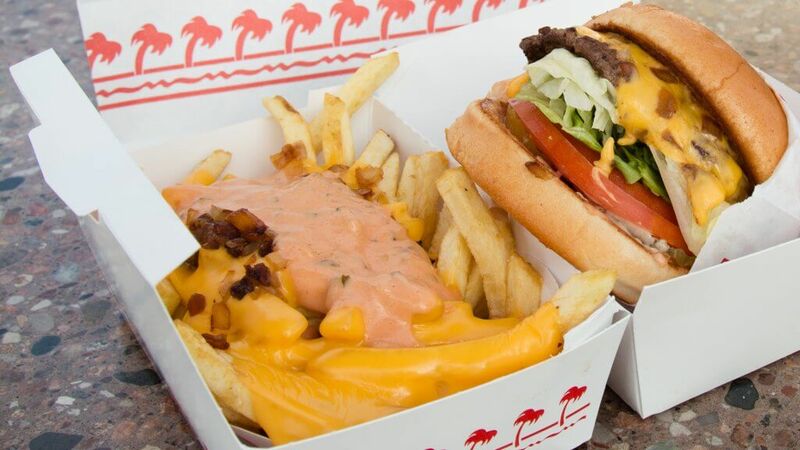 Residents in a handful of states, including folks who live in California and Arizona, will argue In-N-Out has the best burger and fries in the country. But before you roll your eyes and dispute this belief, answer this: Have you ever ordered the fast food restaurant’s Animal Style® fries? Animal Style® isn’t that big of a secret — it’s even on In-N-Out’s not-so-secret menu. However, it takes the fresh-cut french fries, which are cooked in 100 percent vegetable oil, to a new level. When you order Animal Style® fries, they come with cheese sauce, grilled onions and the restaurant’s secret spread. And get this: You can even order your burger Animal Style®, as well. Just in case McDonald’s Big Mac® wasn’t enough to fill you up — is that even possible? 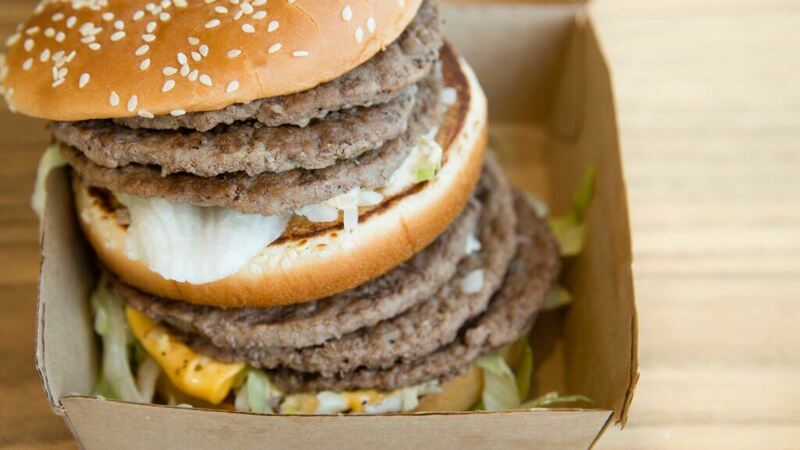 — here’s a menu hack to make your Big Mac® even bigger. The ordinary Big Mac® has just two beef patties, American cheese, lettuce, onions, pickles and special sauce in a sesame bun. But a “Monster Mac” has more patties. In fact, we ordered six patties but got seven. If you ask the drive-thru “server” to get you a “Monster Mac,” they might not know what you’re talking about. If that happens, just tell them you want extra patties. Keep in mind you’ll be charged for each additional patty. And sure, the staff might think you’re crazy for ordering this monstrosity of a burger. But at least you won’t be hungry…and probably not for several days. Ready for dessert after you devoured your “Monster Mac?” If so, first a congratulations is in order — if you have room in your stomach after devouring that giant burger, your stomach probably belongs in the Guinness World Records. Again, the server might’ve never heard of this “secret” menu hack. But, ask them to blend an apple pie with a McFlurry® of your choice. We recommend the McFlurry® with Oreo® cookies. But be prepared: The staff might say no to your request. If so, no problem. Just order a McFlurry® and an apple pie. 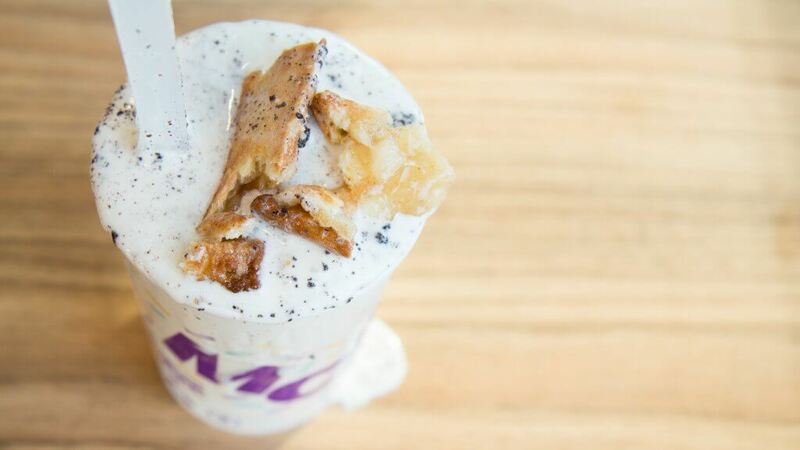 If you order through the drive-thru and choose to eat at home, warm up your apple pie first before breaking it and mixing it into your shake. Trust us, it just tastes better. Ok, so Starbucks isn’t technically categorized as fast food. But it serves food, and it’s fast. And if you’re a Harry Potter fan, you’ll appreciate this magical concoction the staff can quickly whip up. If you need an extra jolt of caffeine, add a shot of espresso. It might not be true Butterbeer™ that you can order at the The Wizarding World of Harry Potter. But when you take your first sip, you’ll feel like you’re really in Hogsmeade™. Everyone loves Chipotle’s famous tacos, burritos and burrito bowls. But did you know the Mexican grill also serves quesadillas? You just have to ask. And don’t worry — the staff won’t hesitate to cook this “secret” menu item. It’s really simple to make, so you won’t hold up the line. 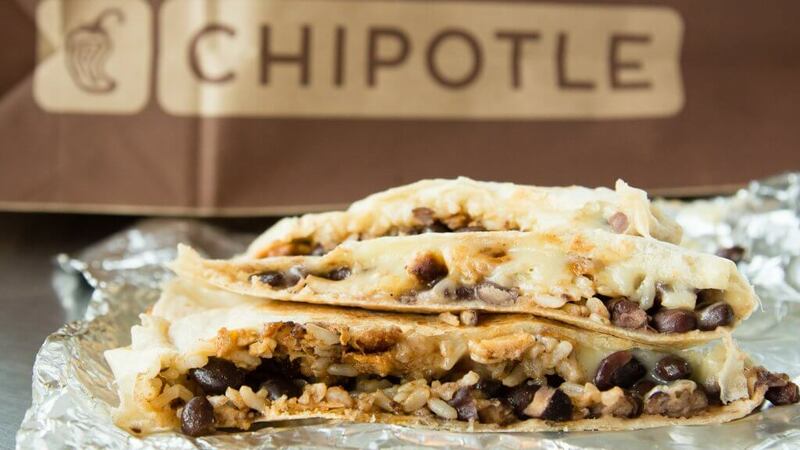 The Chipotle quesadilla is similar to a burrito, but without the rice (but you can still get rice if you prefer). So, it’s the perfect choice if you want something a little lighter than than a stuffed burrito. And you can still get some of your favorite mix-ins, including chicken or beef. Just don’t forget to also ask for a side of sour cream, guacamole and/or salsa. Last but not least is a “secret” menu item all the bacon lovers can appreciate: The Burger King Club at, well, Burger King. Yes, this fast food restaurant does boast a ton of bacon burgers on its regular menu: the Bacon King®, Bacon and Cheese Whopper®, Bacon Double Cheeseburger® and Bacon Cheeseburger®. But a favorite menu item for many is the Original Chicken Sandwich, which, sadly, doesn’t come with bacon. 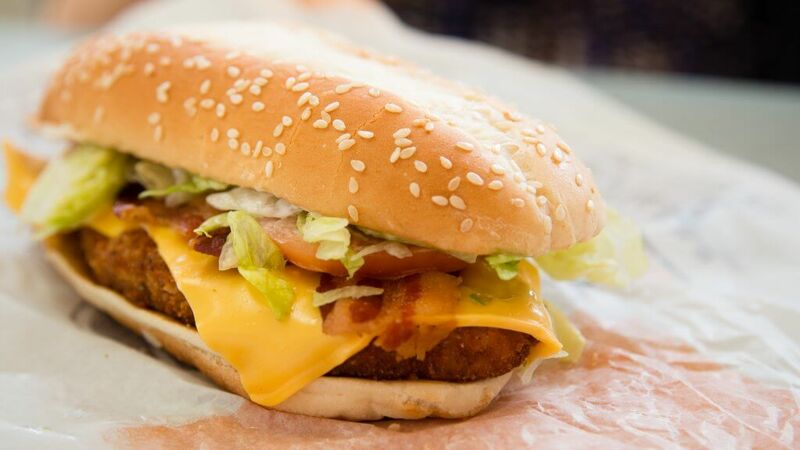 If Burger King’s traditional chicken sandwich is just a little too plain for you, ask for tomatoes, cheese and bacon. Again, the staff might not recognize the phrase “Burger King Club,” but they can easily add all of the extras to your chicken sandwich at a small price. The Dwayne Johnson diet will cost you more than double what you spend today. McDonald’s Mobile Ordering: Big Revenue, but Bad for Customers?